If you ask people what they think of insurance companies, you're unlikely to get a very positive answer. You'll hear complaints about rocketing premiums, tales of poor service and customers' anger when they were told: "I'm sorry your policy doesn't cover that". A survey for the Co-operative Insurance Society (CIS) social accountability programme revealed the depth of customer mistrust of the industry when financial services came close to the top of the list of the least socially accountable business sectors – only oil companies, car manufacturers and the government were felt to be worse. This lack of customer confidence translates itself into an unwillingness to buy products and must be a factor in the general financial underprovision found across the UK – that sees, for example, a quarter of households without contents insurance. There is a culture of remoteness within the industry that parks such issues at the doors of politicians and does not seek to engage in meaningful terms with its markets. To uphold best practice and corporate governance and to promote the principles and benefits of co-operative trading. The ground-breaking first CIS Social Report, published at the end of May, has provided the most significant milestone so far in the development of the programme. 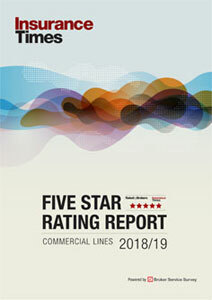 The report provides stakeholder groups with a fair update on where our business currently stands and identifies areas where improvements and further tasks can be undertaken. 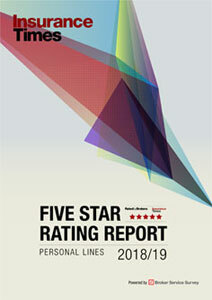 The Social Report broke industry taboos by publishing a wide range of figures customers would not normally get to see. No-one would believe that an organisation with 4.5 million customers doesn't get any complaints, so in our Social Report we publish details of the number we receive and how they are resolved. We feel that publishing the fact that CIS pays out on 90% of home claims and 85% of motor claims totalling £90m and £130m, respectively demonstrates CIS's commitment to making sure customers feel it is providing them with the service they want. It also helps dispel the myth that insurance companies do all they can to avoid paying out on a claim. A social accountability programme is about generating a culture of transparency and accountability through every stage of the business, from the advice and service that a customer first receives to the support and performance they receive across the life of a product. The Social Report also details CIS's progress on issues affecting all of our stakeholder groups – employees, the local communities around us, the companies we invest in and other co-operatives as well as our customers. A very valuable part of the first year's work of the CIS programme has been a benchmarking exercise to make sure the programme is dealing with the most pertinent issues. This has seen 24 Key Performance Indicators (KPIs) identified and refined over the year, as well as an information programme for all CIS staff. It is crucial that any information coming from the social accountability programme is honest and credible. This is why the CIS Social Report had two levels of independent auditing from KPMG, while world-renowned experts such as Dr Simon Zadek, of the Institute of Social and Ethical Accountability (ISEA) have helped develop the programme. It will develop over the coming year through a 46-point plan, stretching from improvements to the performance monitoring procedure for appointed motor repairers to enhancing the ethnic mix of our workforce and a systematic evaluation of the CIS community involvement programme. Modern consumers are inquisitive and discerning. They are not willing to just accept what they are given and, will move their business to an organisation that provides them with what they want, with an approach to business they can trust and believe in. By showing it is possible to be a strong and successful business while paying due attention to the wider concerns raised by policyholders and potential customers, we feel this can only serve to enhance the reputation of insurers to the public – an example the rest of the industry can't afford not to follow.